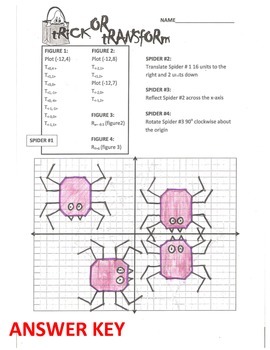 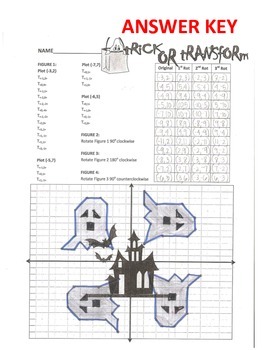 This VALUE PACK contains 6 SPOOKY Halloween transformation sheets. 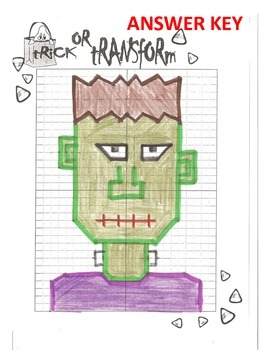 Students will plot points and then use a series of translations, reflections, rotations and dilations to create spooky shapes. 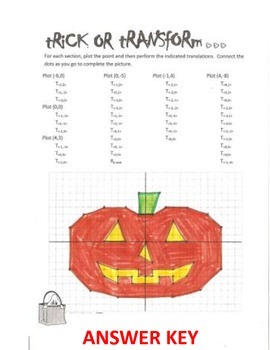 This VALUE PACK contains Pumpkin Translate/Reflect, Witch Reflection, Frankenstein, Ghost Rotation, Spider, & Candy Dilation.